A getaway to Whistler can offer more signature Canadian experiences in a single place than you could have dreamed. 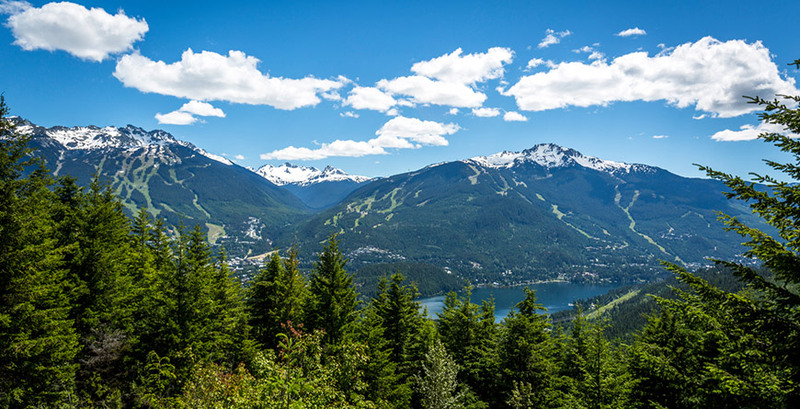 If you’ve only got a few days to spare, here’s the “don’t-miss” list, but be sure to leave yourself enough time to take it all in – the iconic beauty of Whistler is best experienced with plenty of time to breathe. 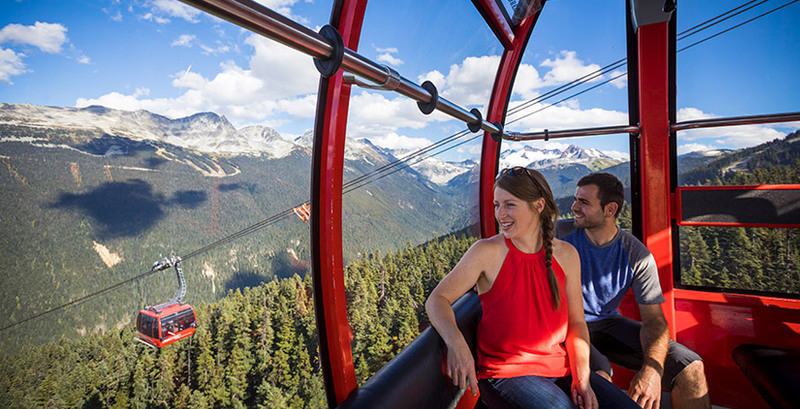 A one-of-a-kind gondola linking Whistler and Blackcomb mountains. Ride the longest continuous lift system in the world, in a glass-bottomed gondola, a mile above the glacial Fitzsimmons Creek. It’s a full day experience with incredible views, hiking trails to explore, free and custom guided tours and places to eat on the mountains. 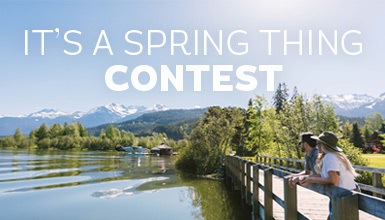 Don’t miss alpine must-sees such as Cloudraker Skybridge, Raven's Eye Cliff Walk and the Inukshuks which make for iconic Whistler photo ops. Be generous with time and take it all in. 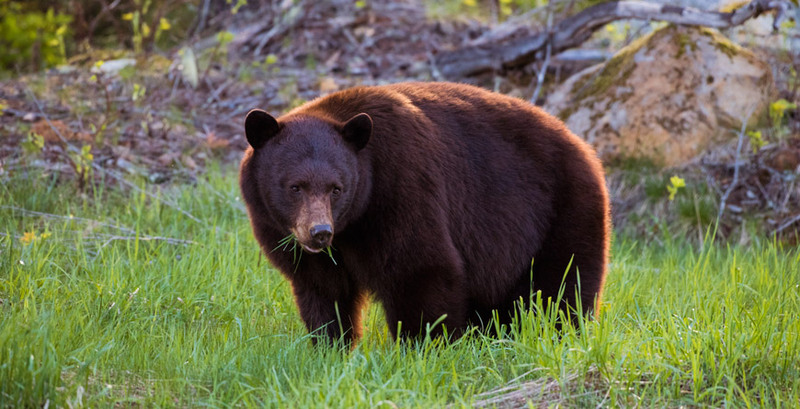 You may spot one from the chairlift or while playing a round of golf but to guarantee a sighting of Whistler’s famous black bears head out on a viewing tour. Ride in comfort in a 4x4 vehicle and learn about Whistler’s favourite residents from experienced guides and researchers. 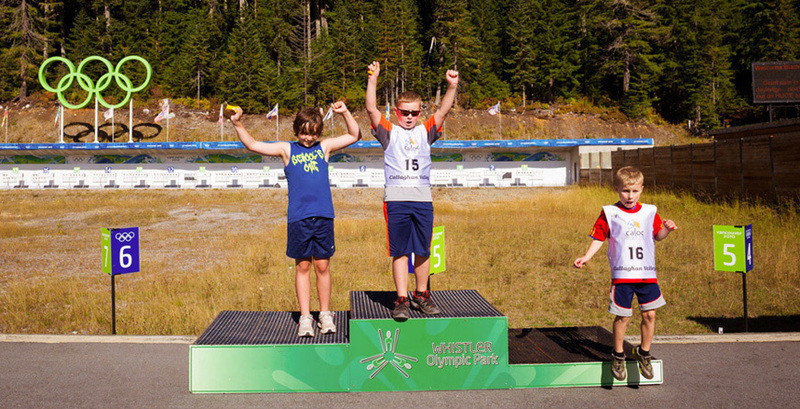 View (or even roll down) the track at the Whistler Sliding Centre, or visit Whistler Olympic Park, host to the Nordic, biathlon and ski jumping events and offering hiking and horseback riding in summer. 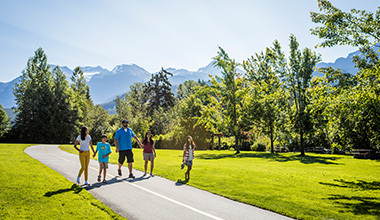 Whistler Olympic Plaza was home to nightly medal ceremonies, and the outdoor area is now a hub for live music, events, and picnicking. 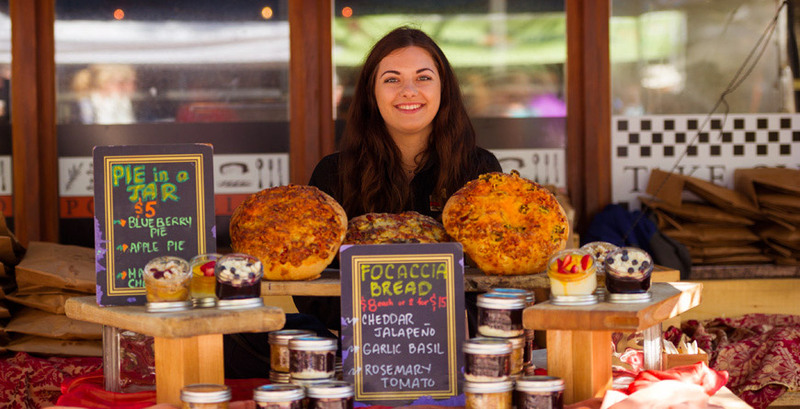 One farm and a few crafty types back in 1994 got things started, and now, the Whistler Farmers' Market has deep and vigorous roots in the fertile soil of the Pemberton Valley and beyond, to offer farm-fresh local produce, artisan treats, art, gifts, and dynamic entertainment, every Wednesday and Sunday. 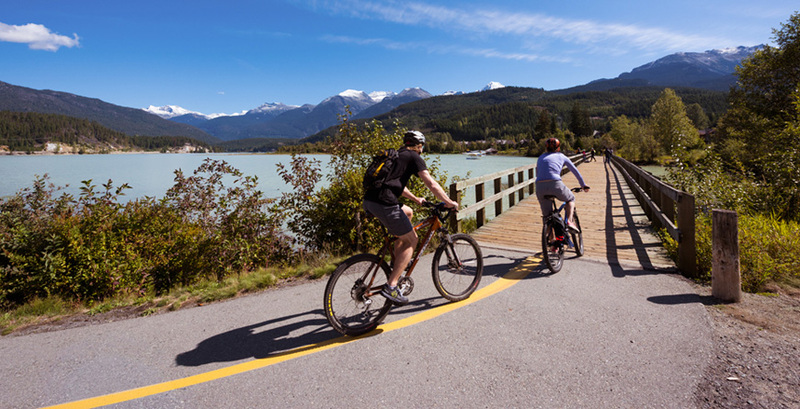 The Valley Trail is a paved cruise-way that runs for 40 km and connects all of Whistler’s single-track trails, patios and cafes, beaches and lakes, parks and golf-courses. It’s pet-friendly, chariot and stroller-accessible, and perfect to experience by cruiser bike (rentals available). 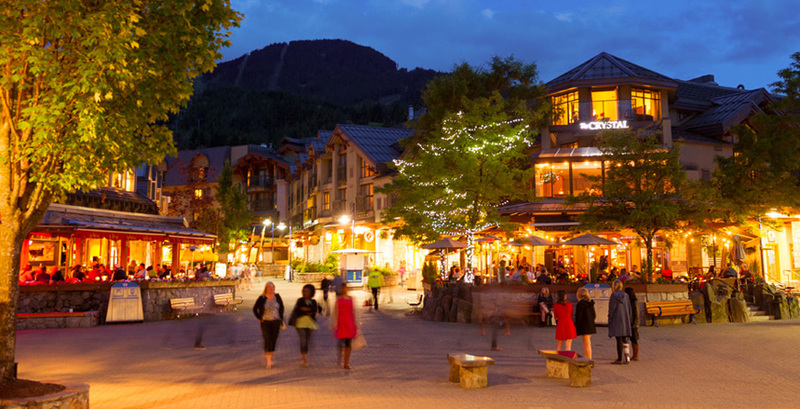 Urban design folk geek out on Whistler’s pedestrian-only village - it was masterfully designed to allow humans to experience “a village in the forest” as they meander through the shops, flow along stone walkways and eddy into entertainment zones and patio clusters. Enjoy the vibe - sun, views and a lovely sense of place. 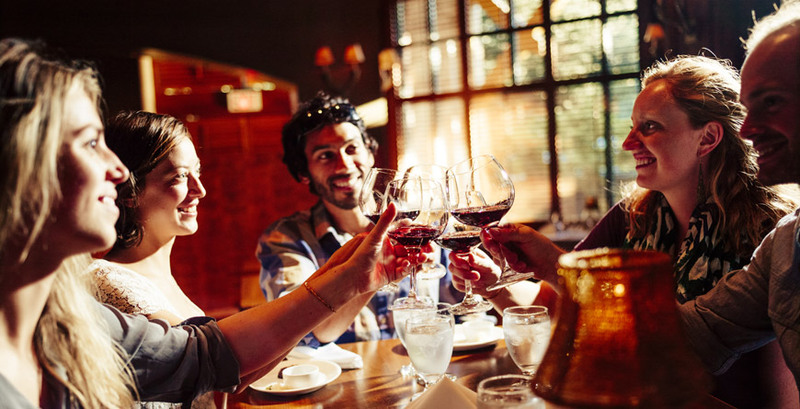 Decision Paralysis from the abundance of dining options is taken care of with a Whistler Tasting Tour progressive dinner. Four of Whistler’s best restaurants in one multi-course movable meal, curated by an expert guide full of local knowledge, means this is one of the rare opportunities when you actually can have it all. Here's the Insider blogs on must-see-and-do experiences - a guide to Whistler and a great planning tool.